I will be personally coaching you throughout the 10 days on this blog site. Do you want to be healthy? If you are interested in being an active part of this 10 day plan - commitment is the first step. Email me now on philip@wisdomforhealth.net and simply let me know. Success means a commitment to a specific plan and setting your goals. Setting your goals is the first step to success.Goals provide you with the focus needed to achieve what you desire, and creates the motivation and will power to fulfil the goals that you set.In fact, the single most important factor in a diet or weight loss program is having committed goals. Studies indicate that people who write down their goals succeed in achieving them over 50 percent more than those who don’t write down goals. Make your goals specific. Goals like ' I wanna lose weight'. 'i am going to lose weight this year (sometime)', aren't specific enough for your subconscious mind to home in on. I will announce the starting date Soon - be Ready - ' set you mind' like Daniel did in Daniels Ch. 1. Have you been looking for a Diet and Lifestyle Plan that you can Trust and is the Best Diet for you? This refreshing New but ‘Ancient’ diet unveils health and weight loss secrets dating back 2000 years. I can confidently and unequivocally state that this diet plan works – WHY? Because not only has it worked in the Bible but today I have thousands of success testimonies which prove it. 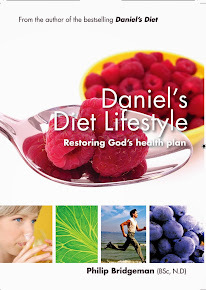 It is based on both Ancient Dietary Principles; As Revealed in the Old Testament book of Daniel (Daniels Diet) and Modern Nutrition (Philip’s 25 years in Clinical Practice). The Pure and Real Diet is a 10 day vegetarian (and vegan) healthy eating plan. You eat only pure nutritional food grown fresh from God’s Garden; to gain energy, vitality, weight loss and to detox your body. This health plan is a straight forward, short term program designed to help you lose weight, gently detox your body and regain your energy and improve your health. This Diet bridges the gap between The Bible, Hippocrates (called the Father of Western Medicine) and Today. · The program is short term making the 10 day goal easy to commit to. · You will be eating 5 times a day, meaning no desperate hunger pains. 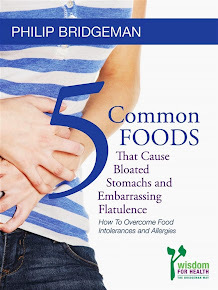 · It is a gentle Detox, keeping in mind that toxicity is one driver of obesity. 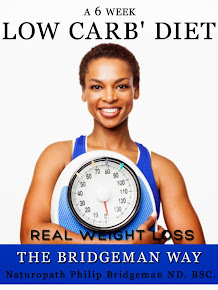 · It is predominantly an alkaline diet (high acid levels are another factor in blocking weight loss). · This diet is a Vegan Diet. Vegan means you eat NO animal product at all, including no eggs, milk and cheese. It is also a Gluten Free diet. Daniel had just proven how amazingly powerful this 10-day cleansing diet really was. 3. 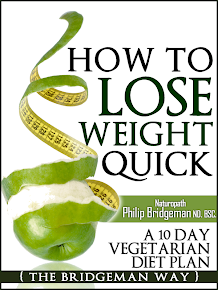 Thanks Philip – This Diet not only changed my life but probably saved it. I was obese, had very low self image, and in hospital the doctors were worried for my immediate health. Now things are so different; I have followed your 10 day diet three times in the last 2 months, (In between the 10 days I have followed your low carb’ diet.) Praise God, I have lost 22 lbs or 10 Kilos every time I did the 10 days (66 lbs or 30 kg in total). I am out of the danger zone and no longer need to go to the hospital. My confidence is returning and I have so much more energy, sleeping much better at night (had sleep apnoea) … (See the progression of Karen’s testimony on my YouTube interview – see link above). Karen M.
5. Dear Philip, I am writing from USA to thank you for changing my life! I followed your diet as you advised wanting to "lose weight quickly before Christmas". I "did" the diet and lost quite a few inches (centimetres) and I have lost 11 pounds (5kg) all up and fit into all my old clothes. Latysha.